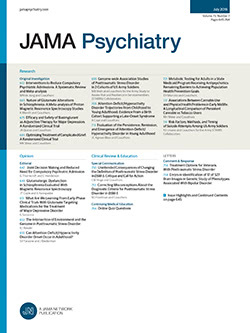 • Despite extensive documentation of high rates of psychiatric morbidity among primary care patients, there have been, to our knowledge, no US studies following up these patients over time. We analyzed data based on two administrations of the Schedule for Affective Disorders and Schizophrenia-Lifetime version (SADS-L) six months apart to 166 attenders at a primary care clinic in Marshfield, Wis. In the short span between interviews, 35% of the study group exhibited at least one Research Diagnostic Criteria disorder, and almost two thirds of these individuals had significant changes in diagnostic status based on SADS-L data. Diagnosis of these transient and episodic cases by the primary care physicians was under 10%, demonstrating the need for careful evaluation of the psychiatric status of primary care patients.